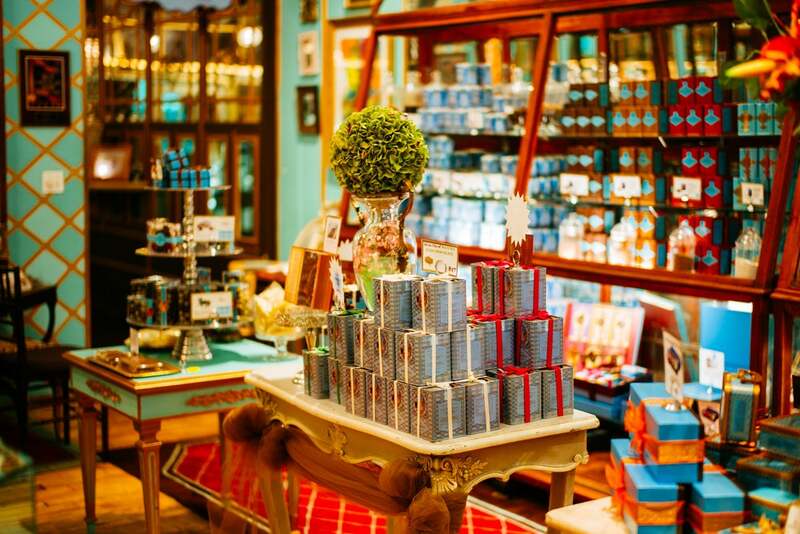 It goes almost without saying that New York City is home to an astounding number of chocolate shops. Major chocolatiers from around the world like La Maison du Chocolat, Neuhaus, Vosges, and Teuscher have shops all around the Big Apple. But if you’re looking for treats unique to New York City, you’ll delight in the many small local chocolatiers who definitely deserve the accolades that residents are quick to bestow on their confections. These five chocolate shops are only the tip of the NYC cocoa iceberg, but there’s a reason they’re considered the cream of the crop. You’ll find this local chocolate stop featured on pretty much every “Top Chocolate Shops in NYC” list and for good reason. Started by French trained pastry chef Jacques Torres, the company boasts 8 shops located around New York City, one of which only serves ice cream. Torres, who is affectionately known as Mr. Chocolate, claims he’s the first artisan chocolatier to make his confections starting with unprocessed cacao beans and only uses premium ingredients free of preservatives and artificial flavors. Local fans venture out in all sorts of weather to indulge in perfectly balanced hot chocolate and life changing earl grey chocolates. 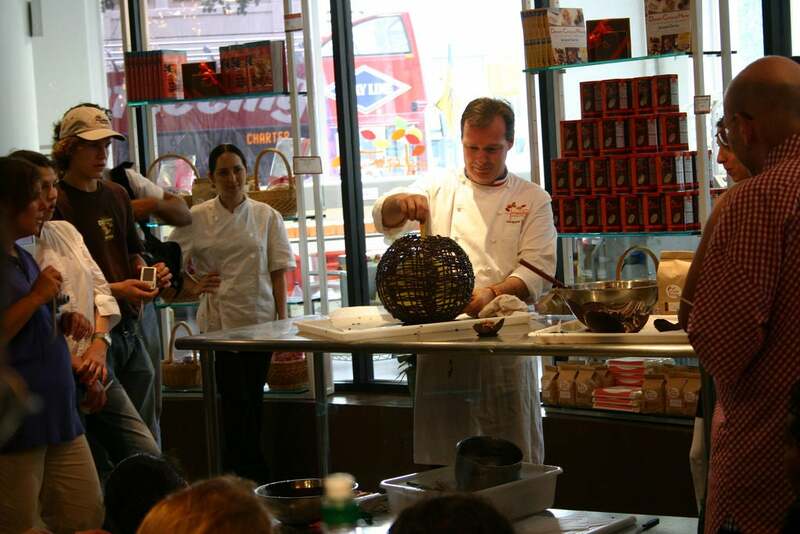 Jacques Torres Chocolate is more than just a chocolate shop. It’s a very pleasant cafe where you can enjoy a cup of coffee, a scoop of ice cream, or some delectable hot chocolate. MarieBelle New York, a charming chocolate shop and cafe located in SoHo, sells confections that some deem simply too pretty to eat. It’s their loss really, because each chocolate created by chocolatier Maribel Lieberman is as delicious as it is beautiful. Lieberman’s passion for discovering and sharing new flavors is self-evident in every nook and cranny of her New York City shop and the little cafe that seems to hide in the back of the store. If you fall in love with this little gem of a place, you won’t be the only one; MarieBelle New York was named one of the fastest growing companies in America by Inc, Magazine 2012 and included as one of Oprah’s Favorite Things. While you’re there, be sure to give the incredibly thick, French-style hot chocolate a try or pick up a box of the adorably decorated illustrated chocolates. If you’re looking for unique chocolates that you could never find anywhere else, look no further. 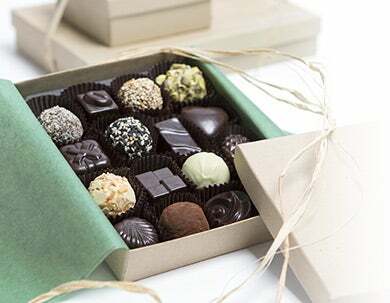 Kee’s chocolates was started by Kee Ling Tong after she left the corporate world to start a flower and chocolate shop. It didn’t take long for the hand-crafted chocolates to completely overshadow the flower business and for Kee to decide to focus her energy in that direction. The chocolates are heavily inspired by asian flavors and at times are only available when ingredients are in season. Fans rave about the fragile, but awe inspiring creme brulee truffle as well as the black sesame balls. Pop into the Midtown location to meet Kee and see her at work, but be warned, flavors sell out as the day wears on, so if you want a wide selection, be sure to head there on the early side. Li-Lac Chocolates claims to be the oldest chocolate house in Manhattan, hearkening back to 1923, which explains the quaint, old-world feel of all five of the shop’s NYC locations. The company, which was started by chocolate expert George Demetrious, is now owned and run by two passionate, long-time customers, Anthony Cirone and Christopher Taylor along with master-chocolatier Anwar Khoder. 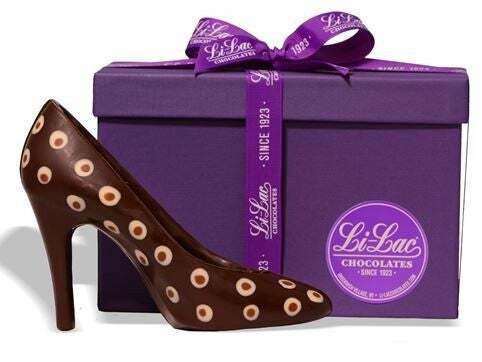 Li-Lac is known for its great quality and oversized chocolates that come in all sorts of whimsical shapes like cats, dogs, stiletto heels and purses. Let yourself be lured in by the serene and timeless ambiance of each shop and while you’re there, enjoy some of the traditionally flavored, kosher certified, chocolates like the dark chocolate ginger, the candied orange peel, or the chocolate with nuts from all around the world. If you’re lucky, you’ll be there on a day when they hand out free samples! 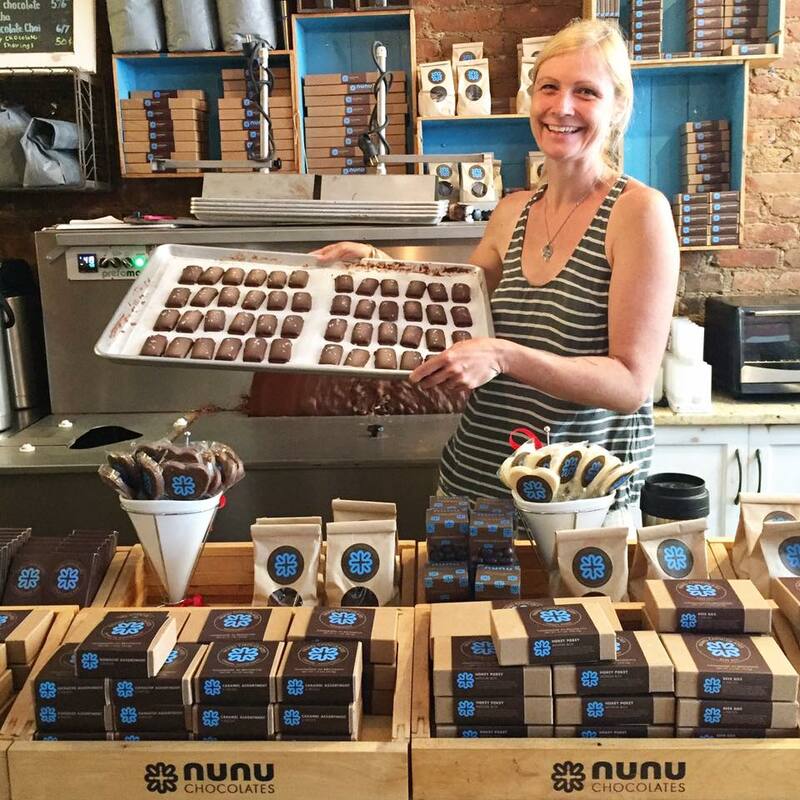 Nunu Chocolates, a local chocolate shop started by Andy and Justine Laird, is named after a term of endearment used for children in certain parts of Africa. The name is perfectly befitting of this delightful chocolate shop where your inner child will definitely come out to play. Nunu’s smooth chocolates are all made in house from single origin cocoa beans obtained from a sustainable family run farm in eastern Colombia. The Lairds only use the finest natural ingredients for their handmade treats which you can see being made right in the store. Nunu doesn’t just serve what fans claim is the best hot chocolate and frozen hot chocolate in New York City, they also serve coffee, beer and wine, making it the absolute perfect place to come hang out and indulge. Give their double chocolate of chocolate chai truffles a try or grab one of their famous chocolate bars to enjoy in the comfort of your own home.